Restorative justice is an approach to justice that focuses on the needs of the victims and the offenders, as well as the involved community. This contrasts to more punitive approaches where the main aim is to punish the offender, or satisfy abstract legal principles. 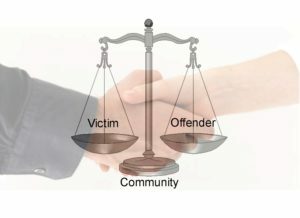 Victims take an active role in the process. Meanwhile, offenders are encouraged to take responsibility for their actions, “to repair the harm they’ve done – by apologizing, returning stolen money, or community service”. 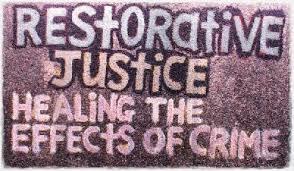 In addition, the restorative justice approach aims to help the offender to avoid future offences. The approach is based on a theory of justice that considers crime and wrongdoing to be an offence against an individual or community, rather than the State. Restorative justice that fosters dialogue between victim and offender has shown the highest rates of victim satisfaction and offender accountability.